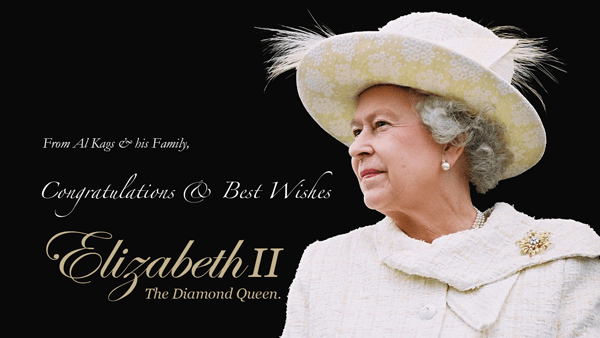 Elizabeth II is celebrating 60 years of her reign of the United Kingdom and its 15 territories. I have no real idea how this affects me – certainly it has not direct bearing in my life that I can see, but I, like many Kenyans and Africans have a certain connection to the throne of our former colonisers. I have devoted the past few years, finding out what my forefather’s (and mothers) lives were like in the sunset years of her father, King George’s reign and in the first 15 years or so of reign of Kenya as a British Colony. In my book, Living Memories ($10 for your Kindle), there’s even a story of a waiter in 1952 who told me about how he spit on food that was meant for the young Princess Lillybet who became Queen that year at that hotel – maybe on that very day. Even having learnt about the atrocities of that age – about 10 years of which happened in her reign – I feel no animosity or anger. Instead, I feel warm towards Elizabeth and her family – for reasons that I cannot explain. I followed Diana’s life with a voyeuristic appetite, that ended in anger at the Paparazzi that fed my voueurism. I stopped what I was doing to attend her funeral via TV as my some of my close relatives cried as if they had lost a sister. I took time off to attend William’s Royal Wedding and now, as CNN, BBC and the rest play stories of this fairy tale cucu (grandmother), I am glued to the telly, happily celebrating her success.